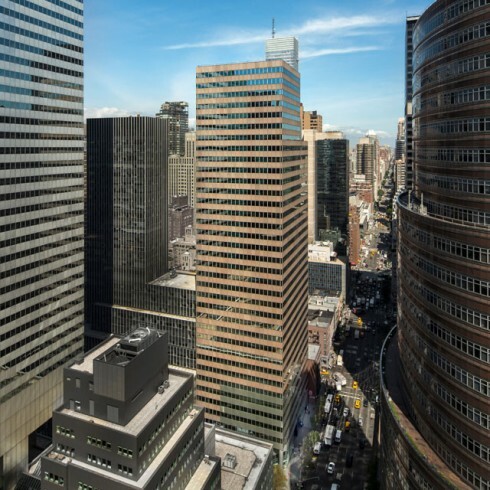 900 Third Avenue | Paramount Group Inc. Designed by Cesar Pelli, Viñoly Design Architects and Emery Roth and Sons, 900 Third Avenue is an impressive, 36-story Class-A office tower with 600,000 of rentable square feet that attracts leading tenants in the financial services, legal and entertainment industries. The property’s highly efficient floor plate, exceptional light and views and superior location distinguish it as a premier building on Third Avenue. Within six blocks of the property is access to eight subway lines as well as the Roosevelt Island Tram Station.